So you want to start a blog. That’s great! Not only is blogging a great pastime, but with a blog, you can express yourself in a unique way, help others with problems you’ve overcome, establish yourself as an expert, and even make money. In this blog post, we discussed How to start a Successful Blog – A Complete Guide. If you’re new to blogging, it really helps to get started off on the right foot and have someone to help you avoid mistakes. That’s why I’ve put this page together for you, to give beginners a fast, foolproof guide to starting a blog, without having to learn HTML or waste your time reading long, boring tutorials. In fact, over 9,500 people have already setup blogs using this guide! I’ve put this guide together for you, to walk you through the process to setup your blog in 5 easy steps. 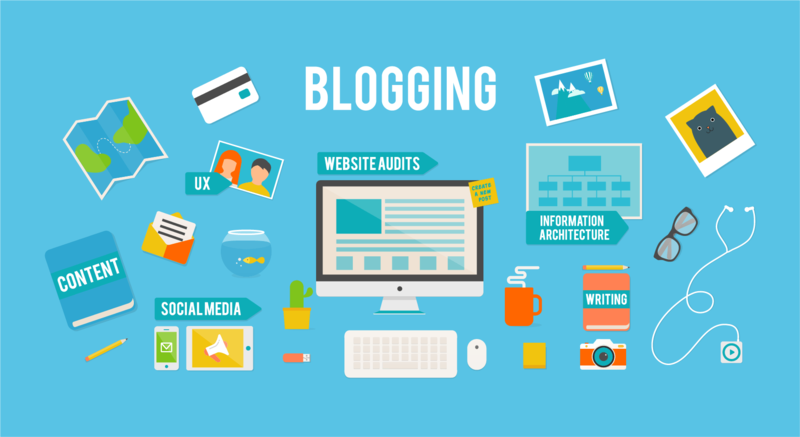 Before you can even start worrying about how your blog will look like, you’ll need to choose your blogging platform. It’s FREE for everyone to use (including themes, layouts, and add-ons that many other blogging platforms don’t provide). It’s super easy to set up. It’s secure; WordPress is always updating their software and keeping everything sound and secure, so there’s rarely a worry of having your blog come under hacking attacks. No wonder Facebook, NASA, and even university blogs are using WordPress. It’s HIGHLY customizable. There are hundreds of free themes and plugins that add more functionality to your blog, from contact and subscribe boxes to plugins that improve blog performance and more. While the other blogging platforms are generally all pretty OK, nothing, in my opinion, has ever come close to matching the freedom and customization options that WordPress offers. So without a doubt, go with WordPress. Especially when you are just starting out. Without a doubt, you need to self-host your WordPress blog. Think about it – what famous, successful blogger you know is using a free blogging website like “studywarehouse.freeblogs.com” instead of their own domain name like “studywarehouse.com”, for example? You don’t control your content – the blogging platform does. They could shut you down anytime, and for any reason. Don’t believe me? Read this. The web address of your blog will be long and hard to remember (like yourfreeblog.blogspot.com) instead of a catchy, branded address you choose. You’re not allowed to advertise on most free blogging platforms, making it much harder to ever make money from blogging. All of these limitations apply to the WordPress.COM blogs. What you really want is to self-host a WordPress blog – it’s the same software without all the limitations! If I were you, I’d start with a self-hosted blog on my own domain from day one. Setting up a blog like this is WAY easier and less expensive than you think. Domain name – This will be your personal blog address where people find you over and over again. For example, Google’s Domain is www.Google.com. Your new blog domain name will be www.YourBlogName.com, except you’ll choose what’s going to be behind YourNewBlog. The cost of a domain name is usually $10/year, but if you follow this guide all the way, I’ll show you how to get one for much cheaper. Web hosting – This will be the home of your blog address and content that’s on the blog. Without web hosting, you’ll be unable to use your domain. Think of it as a computer hard drive that stores all your content on your blog (images, blog posts and so on). The cost of web hosting is usually somewhere between $2-5 per month. It’s less than a venti coffee at Starbucks – so it won’t break the bank. But it’s an important investment to your blog success. When it comes to hosting, there are only two things that matter. Page load speed – The average amount of time (in seconds) it takes your blog to load. Uptime – 99.9% isn’t enough (it’s 42 minutes of downtime per month). You should be aiming for 100%. I now only use and recommend www.HostGator.com for domain names and web hosting. Why? Nothing has ever come close to HostGator in terms of blog load speed and uptime. HostGator has great performance, they are easy to use and it’s probably the best pick for beginners. However, you can always go with another web hosting as long as it’s fast, reliable and offers unlimited storage & bandwidth. This helps you to avoid problems later on. Now that we’ve gone through the basics of blogging platforms, it’s time to start walking the walk! With the next step, we’ll get your blog set up and running. If you’re not ready yet because you still need to think of a domain name or can’t set up a blog right away, that’s okay. Click here to sign up so that when you’re ready, you can pick up right where you left off. At the end of this step (2), you will have a fully working self-hosted WordPress blog on your own domain name! Sounds promising, huh? If for some odd reason you don’t want to use HostGator, you can always choose another hosting provider. I can’t promise they’ll be that good, but the registration and the setup process should be somewhat similar. Some hosting companies do not have one-click install for WordPress. If that’s the case, see this guide for installing WordPress manually (not recommended for beginners, though). 1. Go to www.HostGator.com and then click “Start Your WordPress Blog”. Already have a domain name? Just write it in the right box (I already own this domain) and keep moving to the next step by scrolling down a bit. Easy to Remember – Don’t choose a nonsense name, something tough to spell, or a long name full of dashes. “www.best-tech-gadgets-in-the-world.com” won’t ever stick in someone’s head, but something like “www.techgeeks.com” rolls off the tongue. Unique and Descriptive – You want a name that reflects who you are and what you care about. Be creative and build an identity you’re excited about! Trustworthy – Domain extensions like “.com”, “.org” or “.net” are the most popular, with “.com” being the one most people think of first. Try to avoid crazy extensions like “.rocks” or “.biz”, as these are less commonly used, tougher to remember and not as trusted. Type the domain name you want to use in the box, then click “next”. If the name is available, you’ll be able to claim it. If it’s not available, choose another one. I recommend the “Hatchling” plan for now – you can always upgrade later if you decide you want more advanced features, but you get more than enough with the Hatchling. Once you’ve chosen Hatchling plan and found a name you like that’s available, you’ll need to register it by putting in your contact and billing information. I would take a look at each of these additional services to see if you want any of them. I don’t believe they are necessary for you at this stage. It may take a few minutes for HostGator to register your account, so be patient. You should get a confirmation email when your account is ready. Once you’ve logged in to your control panel (all the information you need for that should be in your inbox), it’s time to install WordPress. Thankfully, this takes just one click! If WordPress isn’t there for some reason, scroll down a little bit on the control panel and click on “Quick Install” under the Software & Services section. Look at the top of the page, in the left sidebar section for WordPress. Once clicked, you’ll be automatically transferred to Mojomarketplace.com – don’t panic, this is just a site that helps HostGator install platforms (like WordPress). You should immediately see a screen where you’re offered to “Install” or “Import” WordPress. Click “Install” to get to the next step. When you’re finished, “Install WordPress”. Once you’ve done that, you’ll see a loading bar at the top of your page that will eventually tell you that your WordPress blog has been installed and you’ll see your log-in credentials. To log in to your blog, click the admin URL. If you forget this URL, it’s simply www.yourblog.com/wp-admin (where “yourblog” is your domain name). Congratulations – you now know how to make a blog using WordPress. You’ve installed WordPress and set up your blog, all on your own! As you can see, it was really easy and straightforward. If you’ve set up your blog, you’re now ready to start using WordPress and customizing your blog. I promise – it’ll be pretty easy and fun at the same time. Remember: You can log in to your blog by going to www.yourblog.com/wp-admin/ and using the credentials you set up with HostGator or any other hosting company you used. WordPress blogging platform uses design templates called “Themes” to figure out how your site should look. Changing your blog’s layout and design is as simple as installing a new theme. Mouse-over the “Appearance” tab in the WordPress sidebar, then clicks on “Themes”. On the next screen, you’ll see several themes are already installed. If you don’t like those, click the “Add New” button at the top, or the great big “Add New” square to start searching for a theme. Now, you’ll see tabs where you’ll find featured, popular and brand new themes, as well as a “Feature Filter” and search bar. I really like the “Feature Filter” option, because you can choose themes in certain colour schemes, select specific layouts and even choose themes with built-in advanced features. Just choose the options you want, then click “Apply Filters” on the left-hand side. If you’re finding this challenging, just search by keyword – there’s no wrong way! When you’ve found a theme you like, click “Install”. You’re nearly done! See the difference? One is filled with irrelevant information and the other one is short, clean and neat. Unfortunately, lots of people want to leave automate spam comments on your blog. They do that for a couple of reasons – to get people from your blog to their blog and to advertise their services/products. To avoid that, make sure you moderate your comments. Here’s how to do that: Go to “Settings” -> “Discussion” and tick those two options. By now you should have fully working WordPress blog on your own domain name. You should also have a custom blog theme that fits with your blog’s topic. Congratulations – you’ve done a LOT and I’m proud that you’ve managed to get so far. In the LAST step, I’ll show you how to write your first blog post and share some tips for writing blog posts. Once published, your new post can be found in the “All Posts” section of the “Posts” tab, so you can edit it anytime. To add an image to your post, click the “Add Media” button right above the lower content field. Tip: Before you click “Add Media”, be sure you’ve left your cursor inside of your blog post where you want the image to show up. Otherwise, you’ll have to move it later on. Next, click the “Upload Files” tab on the screen that pops up, then click “Select Files”. Once you’ve found the file, double-click it and WordPress will upload it automatically. When the upload is finished, make sure the image you want is selected, then click the “Insert into post” button to add the image to the post you’re writing. Linking out to other websites is a great way to build relationships and share interesting content. To add a link, click on the icon in the toolbar that looks a bit like a chain link. On the pop-up, you’ll need to enter a few important bits of information. URL is the web address of the link you want to share. Make sure you include “http://” before the “www.” address, or your link will be broken. “Link Text” is the text you want people to click on to get to your link. It might be “Click here”, or anything you choose. “Open link in a new window/tab” – it’s a smart idea to check this box. Otherwise, when someone clicks your link, they’ll leave your blog. If you want to link to an existing page, you can use the “Search” section to find a post or page you’ve already created and clicked it to add a link. Finally, click “Add Link”, and your link will be added where you left your cursor in the post you were writing. It’s a good idea to use headers and bolding to make your content easier to read and scan. To add a heading, click on the drop-down menu on the bottom left of the toolbar. Try to only use “Heading 1” once within your page (usually at the top), and use “Heading 2” or “Heading 3” for other sections in the copy, as this is better for search engines. Tip: You can also highlight the text you want to change in your blog post, THEN click on the drop-down menu and select the format you want the text to be in. You can also bold, italicize, underline and even change the colour of your text in a click or two. As you can see, this is all pretty simple for someone who has worked with Microsoft Word. Now that you have set up your blog and know the basics, it’s time to make your blog successful. Many beginners struggle at that point, thus I’ve put together a handful of guides to get you going easier. The first thing I’d do is create a proper About Me and Contact page. Once you have some content on your blog it’s time to get some traffic and make it profitable.